The team at Whitchurch Silk Mill very kindly invited me to visit the silk mill to see what was available for families. I wasn’t quite sure what to expect as I had no idea what the Silk Mill was about. I went in October last year and would like to apologise to the team for not publishing this post sooner! 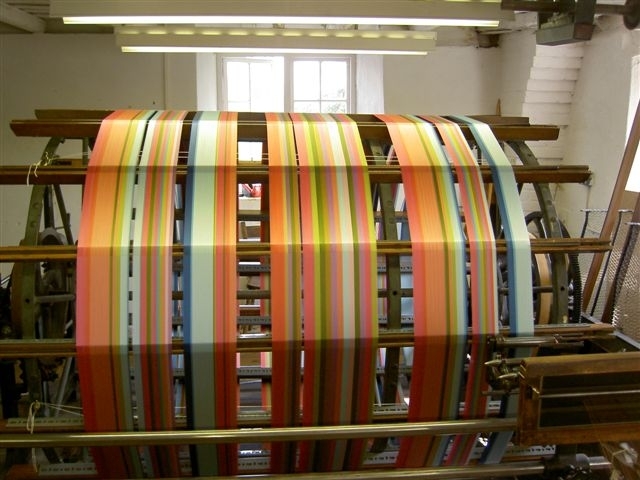 Whitchurch Silk Mill is just outside of Whitchurch and about 20 minutes drive from Basingstoke. It is the oldest silk mill in the UK still in its original building. I had no idea how historic the Silk Mill building was, it’s over 200 years old! 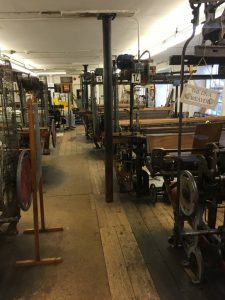 Seeing the silk looms and how they were set up was really good because it gave you a sense of what it must have been like to work with the looms. I also learnt that silk from the mill has helped to create clothes for some major films, like Back to the Future III and the BBC’s “Tess of the D’Ubervilles! 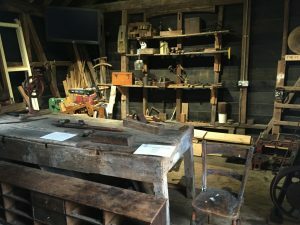 First I had a look round the Carpenters workshop which was great because there were a couple of exhibits on hand for children to play with, one called “ring my bell engineering” where you had to put the gears and bell together. If I show that to Miss NHM and Mr NHM (he’s an engineer) I may never get them out of the workshop! lol. 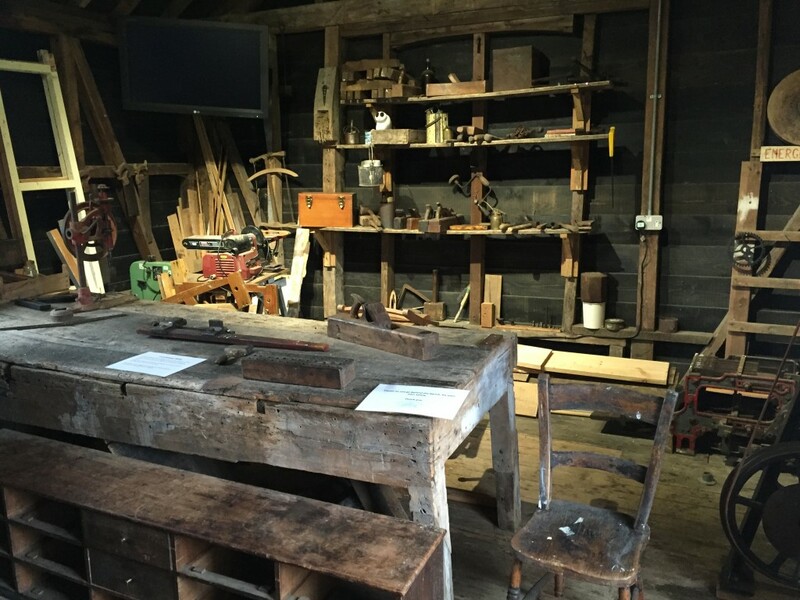 There was also a video which you could choose to play which explained more about the carpenters workshop and had subtitles available if needed. The site on which the Silk Mill rests is absolutely beautiful. The grounds are very well looked after and it’s a wonderful place to wander round. 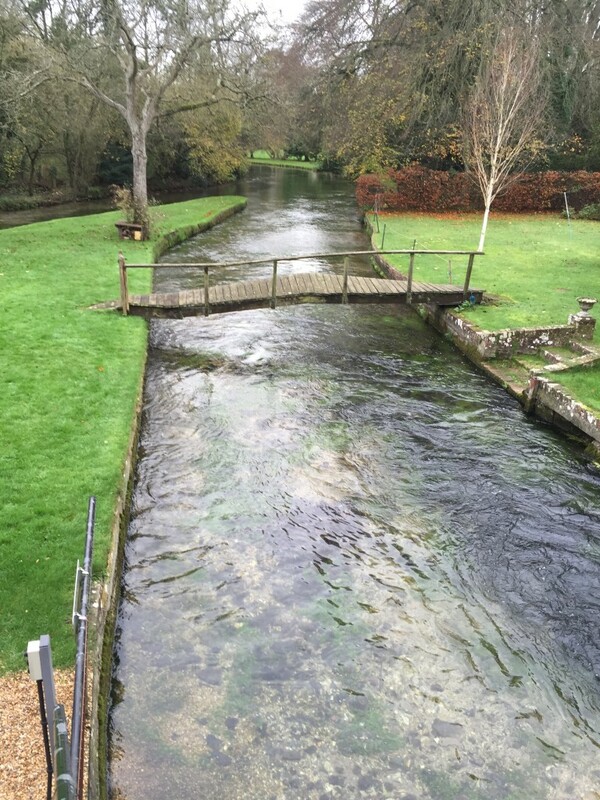 It’s the perfect place for a picnic, as long as you keep an eye on your toddlers near the edge of the water ;-). 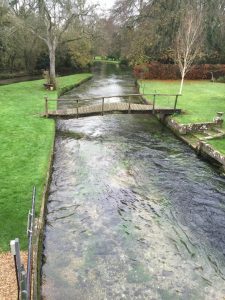 (You can avoid the water if you need too, the river is only to one side of the site). 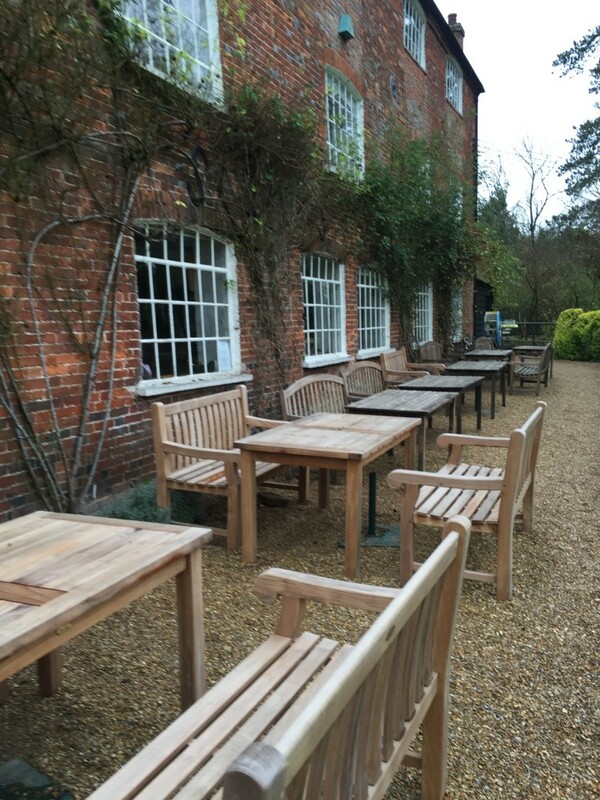 Outside the Mill there are lovely big wooden tables and chairs that you can use if you don’t want to sit on the ground. It was very peaceful being next to the river as it’s a very quiet area. 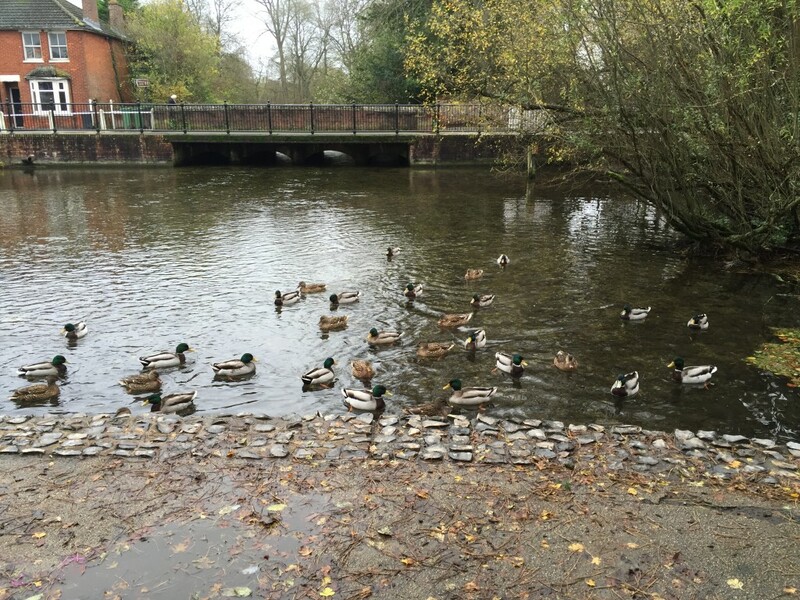 There are lots of duck on the river at the front of the mill and lots of fish in the river. I had no idea how fascinating the process was. I was given a tour of the mill by Lisa, one of the team at the Silk Mill and she was absolutely lovely and very knowledgeable. 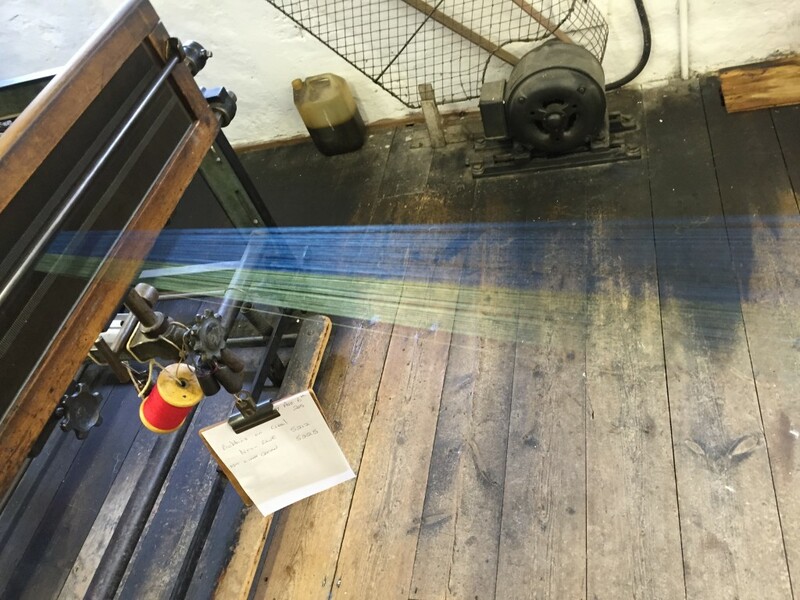 We started on the warping and winding floor which is the start of the process. Lisa showed me how it all worked and I learnt that silk comes from silk worms in China. The silk has to be swiftly wound onto the bobbins. 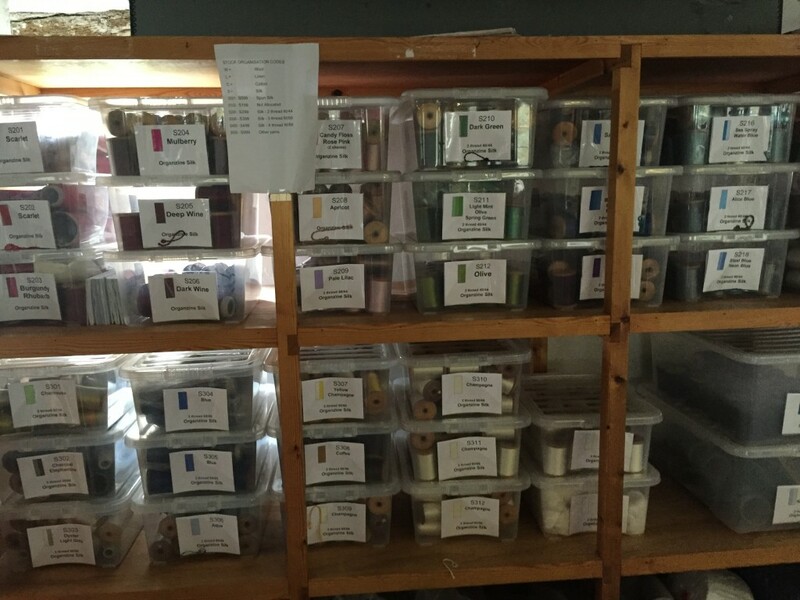 The picture below shows some of the boxes of bobbins that were available that day. 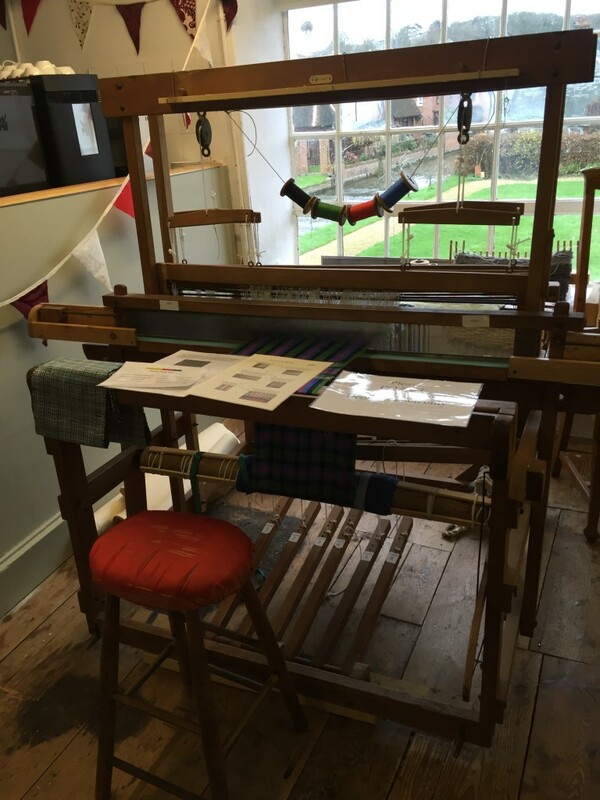 The oldest hand loom is from the 1830’s. 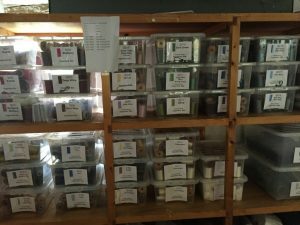 Reed – someone has to pull through the reeds individually, up too 500!! 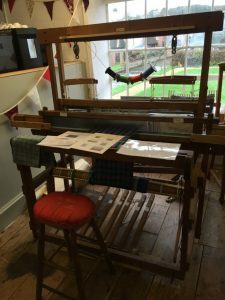 Creel – each bobbin has to go in the order of the pattern. I completely forgot to take a picture of the cute silk moth toys that are set up throughout the mill as a trail that you can follow them around the mill as they explain the process. I thought this was a really cute idea! We also spent some time in the cafe and I was so impressed to see how much effort the team had made to keep children busy/occupied/out of trouble! 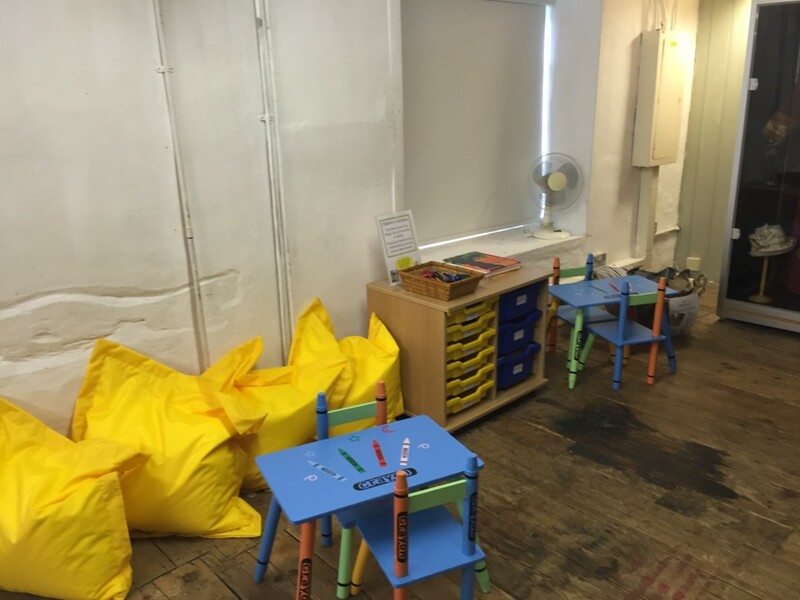 There was a whole area dedicated to children with bean bags, tables, paper, colouring pens and more. It’s obvious that the team at Whitchurch Silk Mill believe in the importance of children learning about the mill and it’s history in a fun environment. 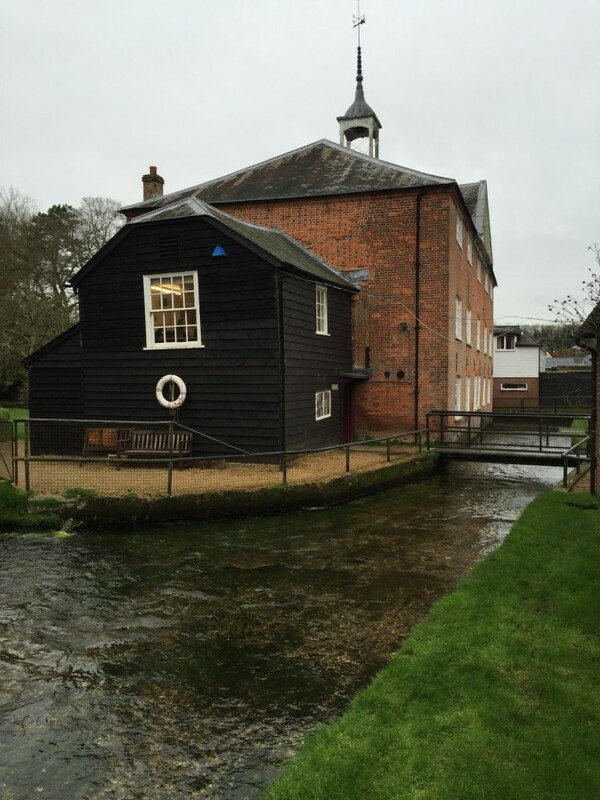 The Mill have an app – you’ll find it in your app store, it is free to download. Just search for Whitchurch Silk Mill. This was put together by the EDGE Project supported by the Heritage Lottery. You can download it at home or using the Mill’s free wifi. No flash photography, for obvious reasons. They have a lovely shop which is stocked with lots of lovely gifts, so would be perfect to buy that unique gift for a special person. The shop is open Tuesday to Sunday and Bank Holidays from 10.30am to 5pm. 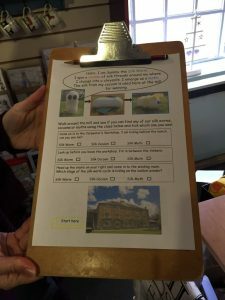 There are activity packs that you can borrow from the shop, the silk worm packs, which have activities for you to do with your children as you walk through the mill. 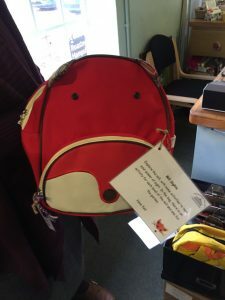 Each bag has a board to follow around the mill which have lots of different activities to help keep your children busy! Sign up to their facebook page so you can find out about the different types of activities which are available. They have a very active community at the mill and there are all sorts of events taking place with lots of events being suitable for children. 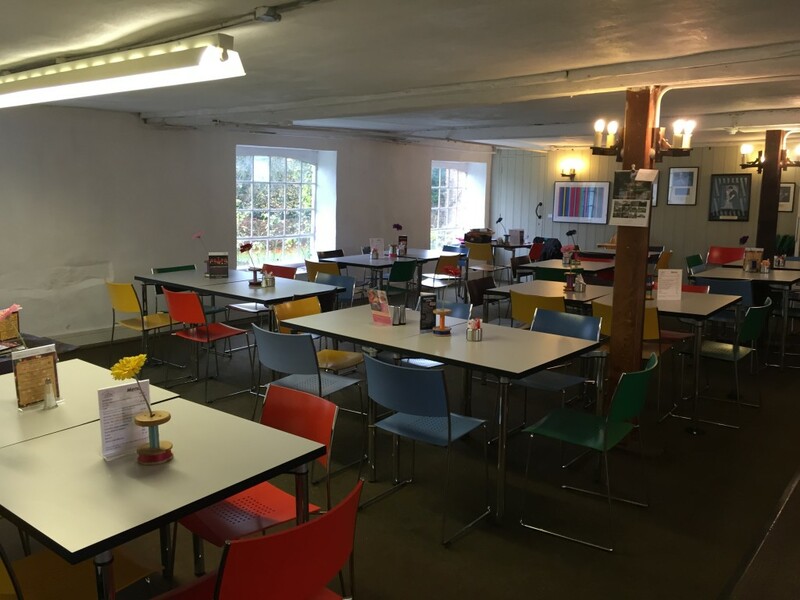 There is a cafe (upstairs) and it’s really large for the size of the site and is big enough for school groups. 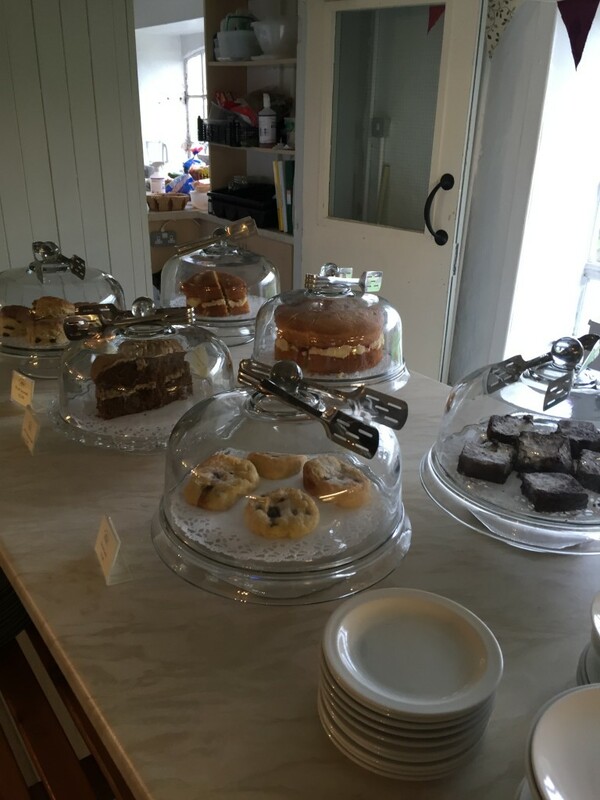 They have lovely home made cakes, lots of different types of drinks and even a book library! I was also really impressed to see that sandwiches are made to order on site and the team make a concerted effort to use local products as much as possible, e.g. Jude’s ice cream…YUM! There is a stair lift for those in wheelchairs which has instructions on how to use. Group tours are available but need to be booked in advance. There is also an Exhibition space and demo’s from experts of all types use this space. 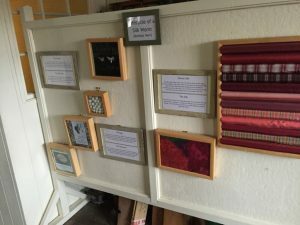 There are also workshops available if you would like to learn more about weaving at the Mill. The actual mill isn’t very practical for pushchairs, so take your little one in a sling, or carry them around. However, you can park your pushchair at the entrance to the mill under the main stairs if you need to take your pushchair with you. This is a covered area so your pushchair won’t get wet. There are baby changing facilities in the toilets in the shop. High chairs are also available in the cafe. There is disabled parking right outside the entrance to the mill. 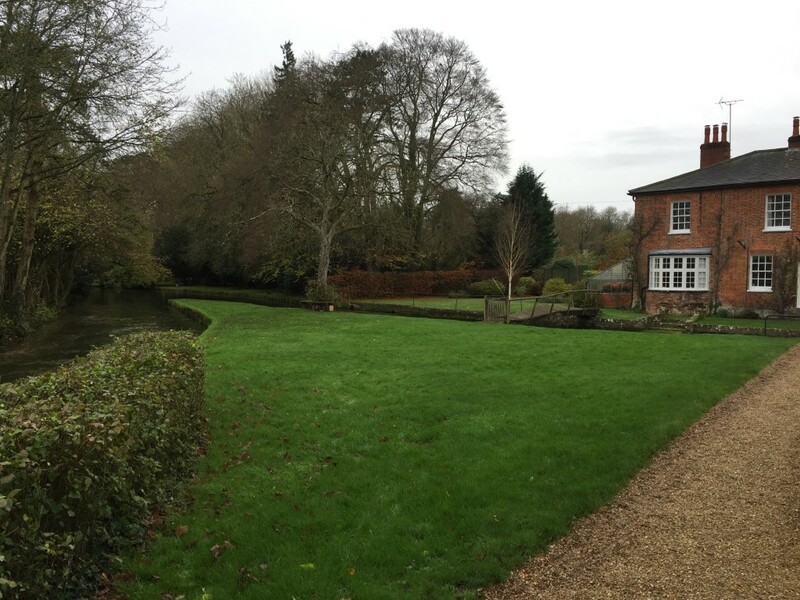 Regular parking is across the little river in the Library car park and is free. I need to warn you that it isn’t the “best” of car parks and can very full quite quickly, however, there are free car parks in the town which are just a few minutes walk away. At busy times staff are on hand to help out with parking. 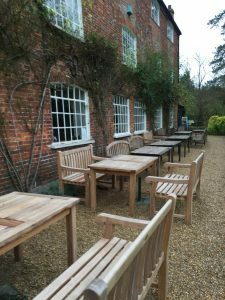 The cafe is free to use and so are the grounds. It was fascinating to walk around and understand how the textile industry used to work. I had no idea that we had such a historic site that was still in use, so close to my home! I had a very interesting couple of hours looking round and seeing all that was available. 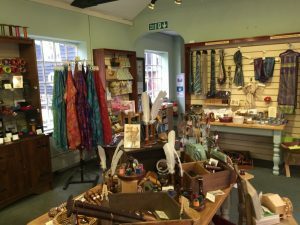 It’s obvious that the silk mill is a hub for the local community as there are so many local events that take place on the site. I know they also have a lot of brownie, scout and guide groups who visit and I can imagine that the home-schooling community would love the place! I was also impressed with the amount of technology on site, including the TV screens that you could use to investigate more about the different processes. What really impressed me the most about the Silk Mill was the little details. There has clearly been a LOT of thought that has gone into keeping children and their parents engaged whilst educating them at the same time. I actually can’t wait to take Mr NHM and Miss NHM along to see the mill as I think they will both really enjoy it. I know I did! :-D.
Disclaimer: This post is a review of Whitchurch Silk Mill. My tour of the site was supplied free of charge for the purposes of the review. I was not expected to write a positive review and any opinions expressed are my own.